On the 18th of April 2018 our association hosted a conference at Bocconi University in which we discussed about SPACs, trying to answer these questions: are SPACs an effective alternative to IPOs? Are they here to stay? Are SPACs a competitive financial instrument compared to Private Equity? Our brilliant guest speakers - Maurizio Dallocchio, research professor at Bocconi University; Marco Bartolini, director at Citigroup; Luca Giacometti, founder of Made in Italy 1 the first Italian SPAC; Carlo Pagliani, senior partner and co-founder at Space Holding - brought us deep into the history of this instrument and debated about its pros and cons. The conference was streamed and it is still available on our Facebook page, while here you can find our previous article where we explain what SPACs are and why they are so famous in the Italian equity market. The day before our event, Space4 - a SPAC promoted by Carlo Pagliani, one of our guest speakers, Roberto Italia, Edoardo Subert, Sergio Erede and Gianni Mion – announced as its target company Guala Closures, a market leader in the production of aluminum and “non-refillable” closures. The business combination, to be formalized, still has to be submitted to the vote of shareholders on the 28th of May, while the transaction will be presented to the Italian financial community the 2nd of May in Milan. Space Holding has a rather long history in the Italian SPACs market and before Space4 they successfully promoted 3 other SPACs, which respectively set up the business combination with Fila, Avio and Aquafil. The investment philosophy in these business combinations is to find a target that can be a symbol of the Italian industry’ s excellence, combined with a strong competitive positioning, historical positive operating and financial results and exceptional growth prospects. These investment lines have been carried forward even in Space4, that was listed on the MIV – the Market for Investment Vehicles of the Italian Stock Exchange - the 21st of September 2017, collecting 500 million euros from 160 professional investors. The capital was converted into 50 million shares of Space4 (€10 each), with 4 market warrants included in every 10 stocks, while the promoter, Space Holding, will receive 1.250.000 special shares, with 2 market warrants for each share. 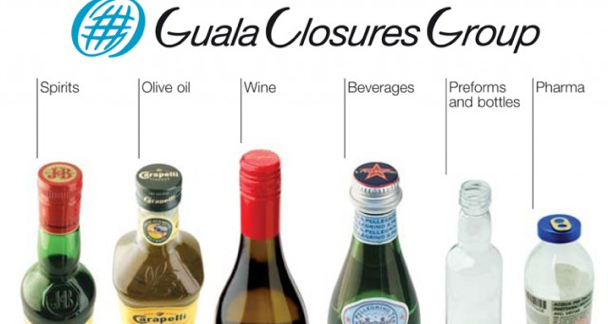 On the other hand, Guala Closures, the Piedmontese company, has been on sale for a year. The shareholder, GCL Holdings a society owned by three PE funds – aPriori Capital, NB Renaissance and SwanCap-, with the group’ s advisors, Barclays and Credit Suisse, firstly took a look at the IPO process and to a large number of offers from various financial investors, but none of these opportunities convinced the private equity funds to liquidate their investments. In fact, GCL Holdings S.C.A entered in the equity of the firm after successfully completing a public takeover in 2008, when the company was listed, and with the help of Marco Giovannini, CEO of the firm since the 1998, they have supported the internationalization of Guala Closures and the growth of its profitability, reaching an estimated valuation of the company between 1.1 and 1.3 billion euro (considering the €552.2 million of net financial indebtedness). Revenues have grown by 760% since 1998, from 70 million to 535 million euros in 2017, with a margin at EBITDA level that was steadily more than 20% in the last 10 years. In order to get a fair pricing of the company, since January, they started a negotiation with Space4, that is also considered by Guala Closures’ s advisors a great opportunity to both sale and make the company public again with low volatility. The two parts came up with a valuation of the company of €504 million, without debt, whereas Space4 will be not alone in the deal. In fact, the transaction envisages a total investment of approximately €600 million, including the deployment of the entirety of Space4’ s capital and new resources contributed by Peninsula Capital II, a private equity fund based in Luxemburg, and the Management Team, coordinated by Marco Giovannini. Of these €600 million, €430 billion will be used for the acquisition process, while the remaining €170 billion will be used to refinance the company, reducing his net debt that caused many problems last year, when the cash flow generated by the operating activities (€52 million) has been absorbed by €39.8 million of investments and €49.9 million by net interests and other financial items. While the market capitalization will be approximately €700 million, with a value per share of €10. Space4 ordinary shareholders not in agreement with the Merger motion, within 15 days from filing in the company’s register of the Shareholders’ Meeting motion in approval of the Merger, may exercise the Right to Withdrawal, having the right to receive a liquidation amount of €9.903 per share. Whilst Peninsula has committed to acquire the ordinary Space4 shares for which the Right to Withdrawal may be exercised and which are not acquired by the Space4 shareholders, up to a maximum total amount of €10 million, for a price equal to the liquidation value of the ordinary Space4 shares for which the right to withdrawal shall be exercised (Back-stop Agreement). For the transaction, Space4 was assisted by Lazard as financial advisor, by KPMG as auditor, by BonelliErede for the legal aspects and for the legal due diligence by Giovannelli e Associati. Peninsula was assisted by Lombardi, Segni e Associati and by Van Campen Liem. Guala Closures was assisted by Linklaters and by Mr. Stefano Picchiotti, and KPMG was appointed as the legal auditor while GCL was assisted by the law firm Freshfields Bruckhaus Deringer. The business combination is not completed yet, even if last Thursday Carlo Pagliani seemed very confident.